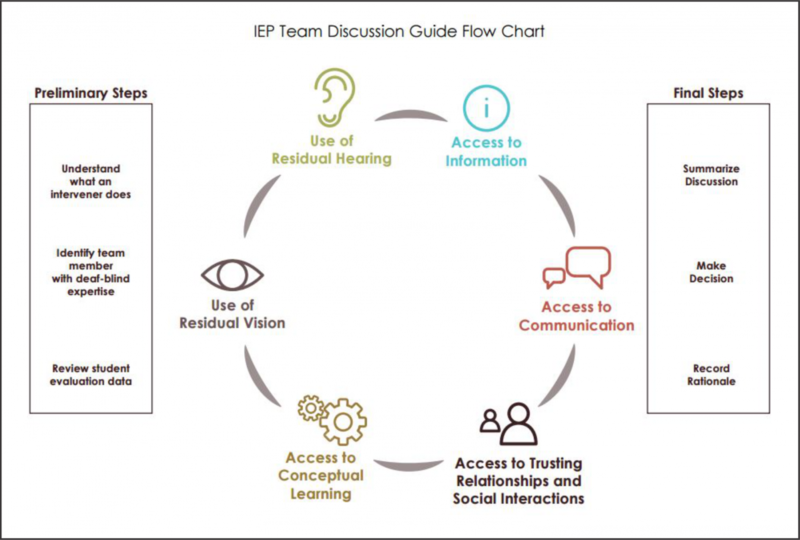 The purpose of this discussion guide is to help IEP teams make informed decisions about whether intervener services are appropriate for a particular student. Students who are deaf-blind have absent, partial, or distorted vision and hearing. Deaf-blindness severely limits access to visual and auditory information that forms the basis for learning and communication and creates challenges for educational systems mandated to provide a free and appropriate education in the least restrictive environment. Intervener services are a way to meet the challenge of providing students who are deaf-blind with access to information they are unable to gather via vision and hearing and to help them compensate for the difficulties with communication and concept development that occur as a result of sensory deprivation.